I was texting with a lady friend the other day. It was wasn’t about anything in particular. Just a couple of friends chatting about the daily happening in our lives. I didn’t stay on long with her. I had some work I had to do and I told her. She didn’t take it personally and praised me for being productive. That made me think of something about my personality. I don’t like being idle. Even when I’m watching a television program I might have a notepad in my hand writing down ideas for different projects. If I’m doing absolutely nothing I usually fall asleep. My point is that I prefer to make my day as productive as possible. I’m either making money or thinking about ways to make money. The key is being productive with my time. There’s a lesson there for many Black men. 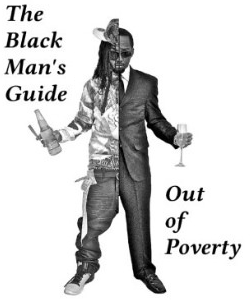 Even though there are many Black men who are very productive and are making a lot of money there are just as many, if not more, who are going in the opposite direction. These brothas are usually not doing anything productive with their time and energy. Well, unless one considers playing video games all day as productive. Many more are just sitting around as if they are waiting for something to happen. They are usually disappointed. In that article I wrote about how difficult it can be for truly successful Black men to find a compatible mate. Many Black women, of course, had a problem with the article. Not because I said that there was a shortage of good Black women. Very few critics bothered to address that point. Many Black woman detractors simply said that the article was fiction and that successful Black men didn’t exist. Such is the general perception of Black men. Unfortunately it is too easy to find unproductive Black men. Many people have to simply go outside to see some brothas not doing anything with their lives. Of course there are plenty of brothas being productive but perception is a mutha. What needs to happen is that more Black men must become productive. The small group of brothas who are productive cannot carry the rest. This culture doesn’t work that way. There are several things that need to happen. The first thing is that every single Black man must look himself in the mirror and ask himself if he making good use of his time. There’s nothing wrong with playing video games and watching sports. These things can’t consume all of their time. Many brothas sitting around need to concern themselves with finding steady work first and foremost. Contrary to popular belief there are plenty of jobs around. Sometimes a man has to start on the bottom. As long as he starts somewhere. Other Black men who have jobs need to think about what they can do extra. In my book, Nice Guys and Players, I recommend that every man develop a side business that he can control. He may not need the money but it keeps him engaged. The most important thing any Black men can do is challenge the negative imagery every chance they get. Black men need to allow their actions to speak for them. Black men as a group need to be seen as productive.